Trumpeter Lin Rountree received some of the best music training any artist could get when he decided to do his undergraduate work at Florida A&M University in the early 1990s. When the Virginia native decided to march with the Rattlers, he joined one of the highly regarded collegiate marching bands in the entire country. Rountree’s tenure at Florida A&M allowed him to build on a foundation that he began developing in Alexandria, Va. where he participated in music development programs at the D.C. based Duke Ellington School for the Performing Arts. Rountree's grounding included training in jazz and of course the Marching 100’s immersion in all elements of musical expression. That included hip-hop, funk, soul, as well as jazz, all of which can be heard throughout his previous five projects leading up to the newly released Stronger Still. “Pass The Groove” is an up-tempo track featuring a percussively bouncy bass line that provides a platform for Rountree’s Harmon muted trumpet and some funky creativity on the electric organ. The title track sports a mid-tempo, laid back funky swing that gives Rountree an opening to display his range as a power trumpet player when he dispenses of the mute. “In My Soul,” finds Rountree slowing down the tempo and amping up the on a cut that finds him trading riffs with saxophonist Marcus Anderson. Nearly all of the tracks are instrumentals, but Rountree makes a play for the R&B radio with the new single “Something More,” featuring vocalist Jessica Jolia, which is a contemporary hip-hop infused R&B track and tells the story of a woman trying to explain to a man why his perfection is not good enough. Rountree’s musical influences, trumpeters such as Miles Davis, Lee Morgan, Freddie Hubbard and Tom Browne all – at some point during their careers - merged their improvisational skills with elements of soul and funk. 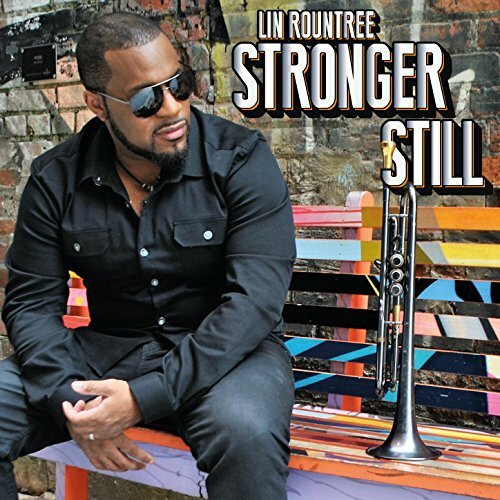 On Stronger Still, Rountree combines jazz and funk in a way that places him in the mainstream of what is happening in contemporary jazz. Recommended.